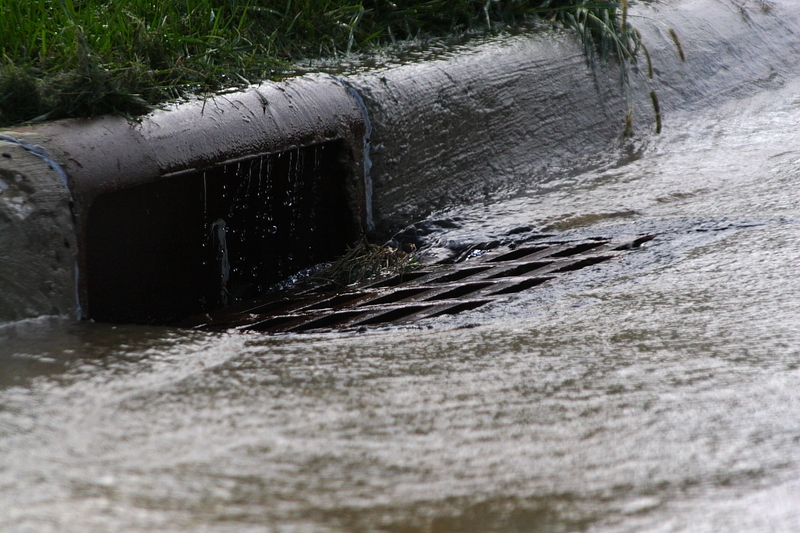 While water flowing into your basement is already stressful, sewage water can be twice as bad. Because it is loaded with numerous contaminants, it not only accelerates the process of destroying your personal belongings, it poses a severe health risk to you and your loved ones. While this mess will be expensive to clean up, it must never be done yourself because many dangerous bacteria and odors can be left behind. Instead, you can minimize the time and costs when learning how to handle a sewage backup in the basement. Call for professional help. 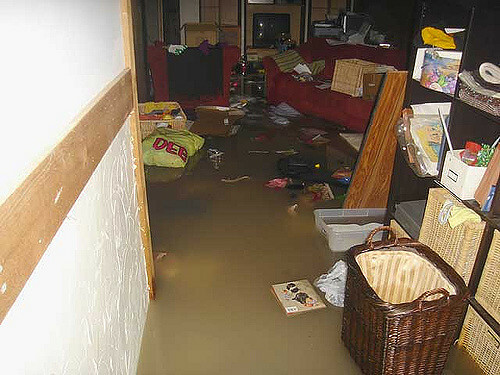 All sewage backup situations are considered emergencies, due to the amount of destruction and health risks they cause. Don’t hesitate to call a sewage backup cleaning professional as soon as you find the mess in your basement. Shut off the water in your home. If the valve is under the sewage water, leave it alone. Otherwise, find it right away and turn it off to prevent other appliances from flooding. Turn off the electricity. Any closed circuits will make the situation one thousand times more dangerous. If you are able to turn it off safely, don’t hesitate to do so. Wear personal protection equipment. The last thing you want in this situation is to have contact with the contaminated water. Use as much protection possible, including a facemask rubber gloves and boots, and eyewear. Do not walk through the sewage water unless it is necessary. Open all windows and doors. Sewage water can spread overwhelming odors very quickly while intoxicating the breathing air within your home. Be sure to open all windows and doors to allow as much fresh to flow throughout the property as possible. Call the sewer department. Unless you are connected to a private sewer, informing them of the problem right away can prevent these occurrences in the future. Call insurance company. Unfortunately, sewer backups are not covered under regular homeowner’s or renter’s insurance policies; they must be purchased separately. Do not use water appliances. This includes the shower, faucets, hoses, washing machine, etc. If the sewage backup was caused by a pipe burst, the last thing you will want is adding more water and pressure. Add bleach to the standing water. Although this certainly won’t solve the problem, disinfecting the sewage water somewhat will help to lower some of the health risks. As you may have already experienced, a sewage backup is every homeowner’s most dangerous and messy problems. It is expensive to clean up and many building materials and personal belongings will need to be replaced or restored with content cleaning. On the other hand, there are methods of preventing a sewage backup in the future by using a backflow preventer. While this device won’t guarantee that a backup will not occur, it can prevent any backflow of sewage water from the drain. As soon as it senses the water coming from the other end, it closes the main line from the outside system to prevent the contaminated water from flowing back in. While there are different types of this device, it is worth the investment to buy one of a higher quality as the cheap ones will become cluttered with debris and not close properly. As many sewage backups happen when property owners are not at home, it is a good idea to spend the money to have a high quality device installed. While some cases of sewage backups are not very severe because they are noticed right away, others can go untreated for days as home and business owners are at work or go on vacation. As soon as they come home, the last thing they want to see is a pool of contaminated water in their basement. While these jobs can indeed be messy, it is worth the costs of hiring a professional sewage backup cleaning expert to completely extract the water and restore all building materials and contents. This way, you are not facing the risk of severe illness due to leftover bacteria and odors. When searching for the sewage removal company, consider contacting the experts at ServiceMaster. Their sewage backup cleaning services use professional equipment and products that will remove all traces of water and bacteria. They will also dispose of all porous material, including drywall and wood while disinfecting concrete walls and floors. Finally, they will deodorize the entire area to ensure that all odors are fully removed. With these services, you can be sure that your basement provides a safe and clean environment for you and your loved ones again. Previous story What Are the Levels of Mold Damage?